This lovely unusual pair of Victorian pine doors are constructed with one large square panel, over two long solid panels per door, fitted with decorative mouldings to both faces. The doors are fully morticed and tenoned, and suitable for internal use. These doors are NOT rebated Please note: Individual doors are 32.75 inches (832mm) width each. These measurements are taken without the rebate. All other measurements are taken as a pair. 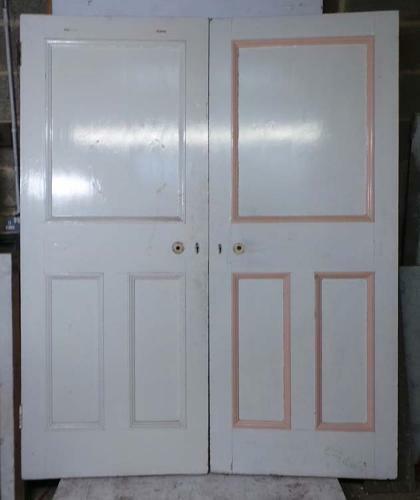 The doors is are good condition, but are currently painted. We are happy to strip for an additional cost.